Instantly transform the contours of your face. 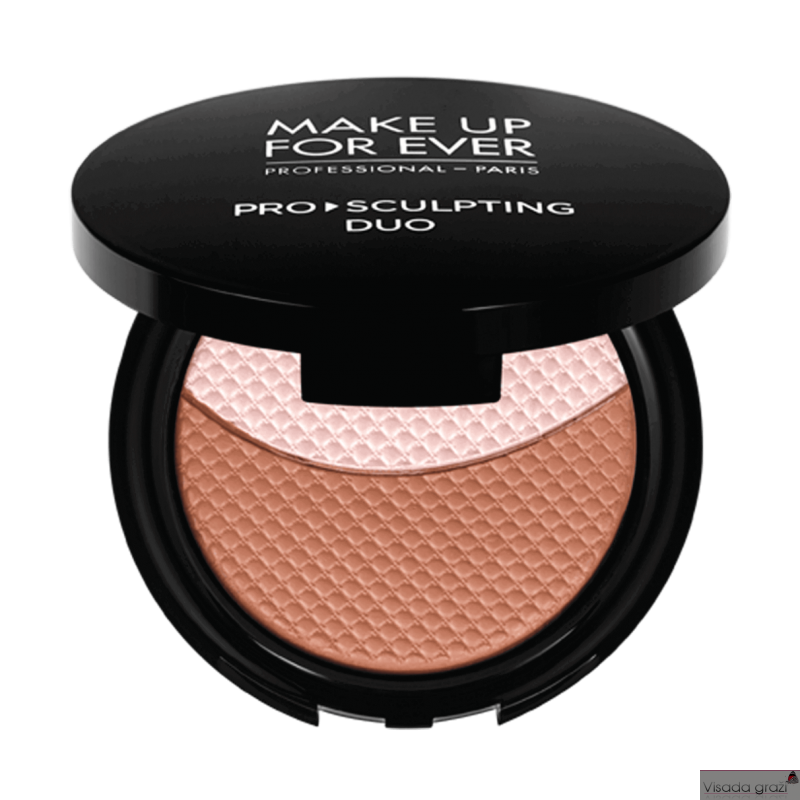 This mistake-proof PRO SCULPTING DUO helps you master the art of light and shadow to reveal a naturally, sculpted look. The lightweight gel-powder blends effortlessly without a visible trace of powder to re-shape the face. Contour with the deeper shade under your cheekbones and then use the lighter shade to add highlights to the upper cheekbones. Customize the coverage to create your desired look: from a slight change to a complete transformation. Add luminosity: Use the flat part of the brush to apply the light shade to areas that need to be emphasized and accentuated (cheekbone, brow bone, bridge of the nose, edge of upper lip…). Contour: Use the beveled side of the brush to apply the dark shade to areas that need to be contoured and refined (temples, hollows of the cheeks, sides of the nose, jawline…). Blend: Use the flat part of the brush to blend the two shades together for a natural result with no demarcation lines. For a more intense makeup result, apply the dark shade with brush #154. This extra-dense round brush with a flat tip allows for generous product application.